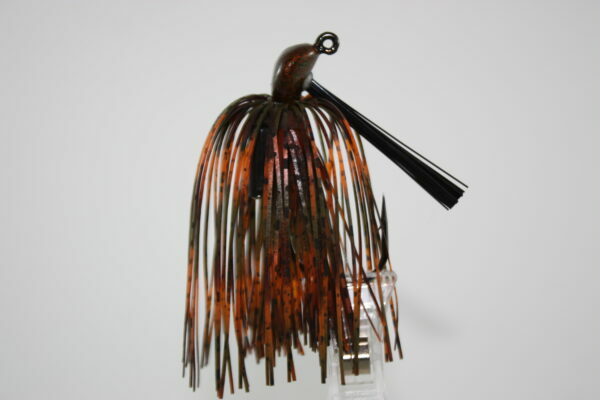 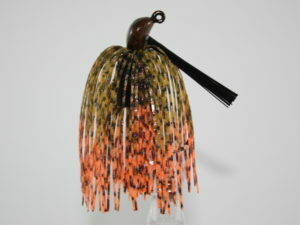 The Arky style jig is the go to flipping jig for most situations. 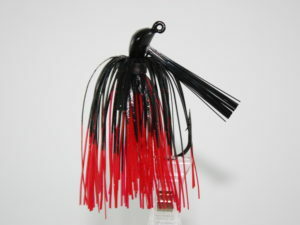 Its curved head design allow for great skipping around docks, it can be flipped in brush, and around stumps serving many purposes as a very versatile bait. 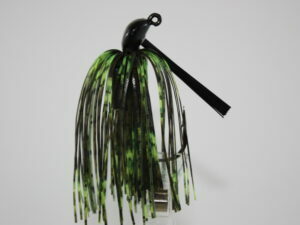 In sizes 3/8, and 1/2oz this weedless jig is a definite force, paired with 5/0 mustad X strong hooks.